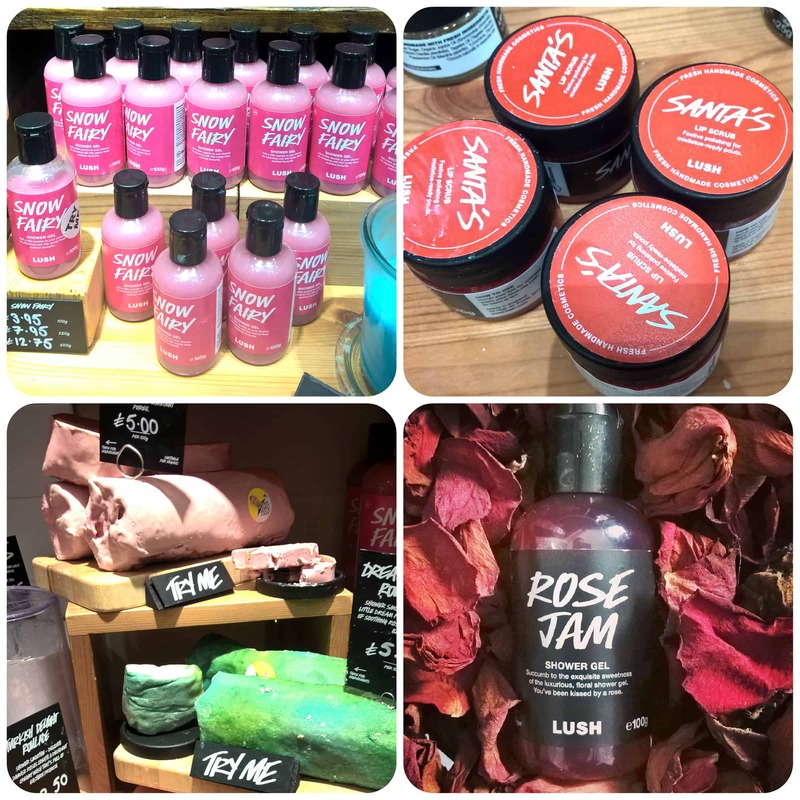 Christmas at Lush is a sparkly, glittery and seasonally fragrant affair that will leave you feeling all festive with all the products and gifts they have on offer. 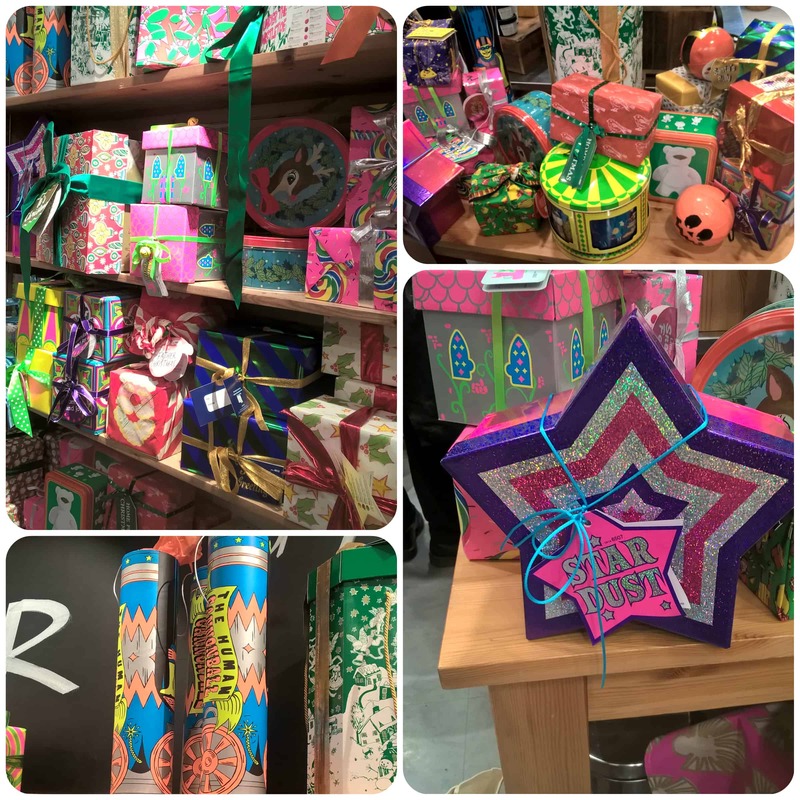 I had a preview on the launch day of the new Christmas and Halloween ranges as they were fresh into my local store in Plymouth, to see what amazing new products have launched and which firm favourites have returned from previous years for another festive season. 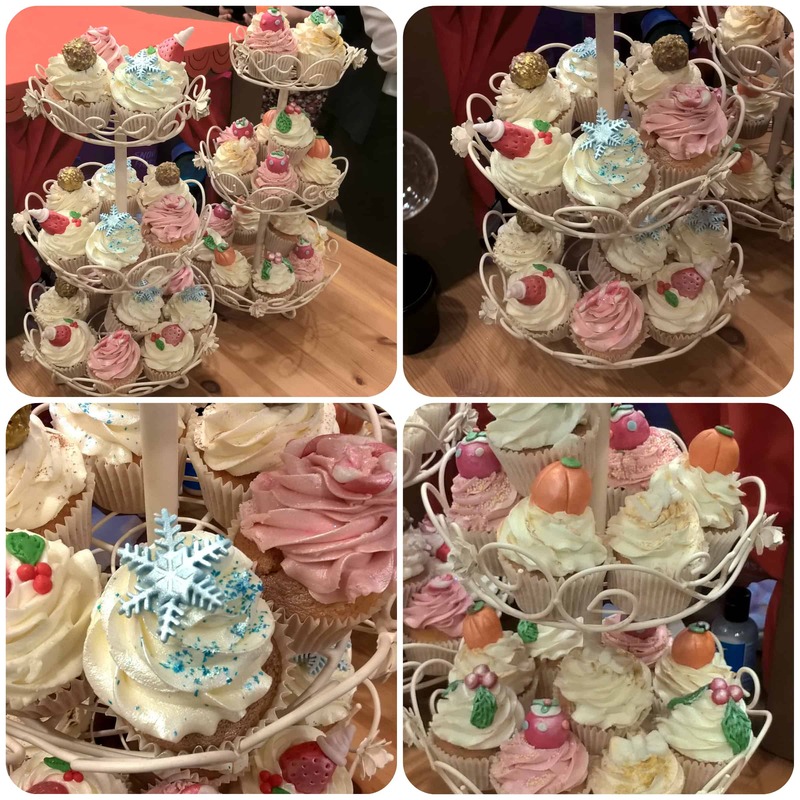 We were greeted with drinks and some fabulous cupcakes from the local Mrs Brown’s bakery which looked too good to eat and very festively decorated! Then it was on to the bath section, packed full of glorious bath bombs, melts and bubble bars. 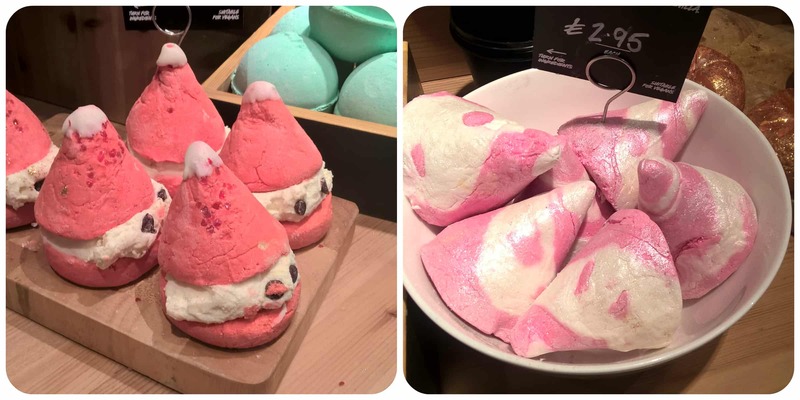 We had some demonstrations of bath bombs in action but here are some that caught my eye. The Magic of Christmas reusable bubble bar is so festive, a star shape decorated with cloves and star anise, it’s perched on a cinnamon stick. It’s burnt orange colour gives a warming feeling as the chilly evenings draw in and it’s covered in golden glitter, perfect for a hot bath to relax in the evening. It has a cute ribbon tied around it’s collar along with a cute anti rusting bell. The idea is you swirl it in the bath water to create a heavenly, softening bubble bath, packed full of bubbles and a Christmassy aroma of cinnamon, orange and almond. Stardust is a snowy white Frozen inspired bath bomb with bergamont to uplift you. Inside it’s white exterior lies a blue and white swirly mass of bubbles and a surprise of edible stars that will float around your bathtub twinkling under the lights. Magic Wand is a silver glitter coated pink bubble bar on a stick with a festive bell and ribbon attached. I know my daughter will just love this so got her one to try out. Five Gold Rings are individual bubble bars, glistening and tied onto a ribbon. With a sparkly gold coat they are infused with fair trade vanilla and uplifting moringa oil. 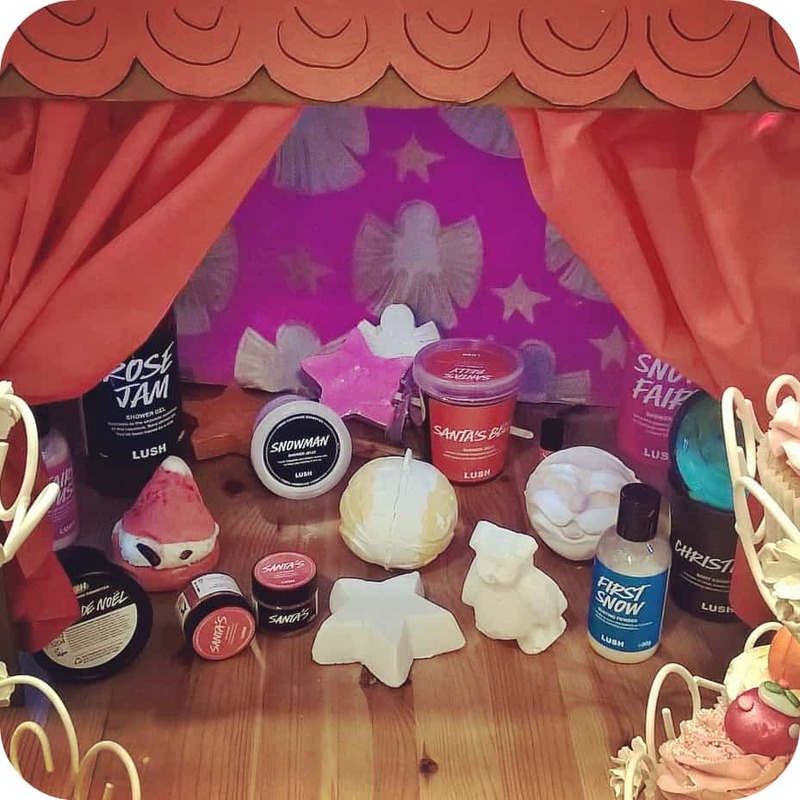 Peeping Santa is a rather cute bubble bar that can be split into two halves for two baths! Bursting with strawberry sweet bergamot and geranium oils and cocoa butter in the middle section, this sounds like a refreshing but relaxing bath full of bubbles. Candy Mountain is a swirling pink bubble bar rich in vanilla for a soft, relaxing soak. Next stop, the shower section which was packed full of an array of different and interesting products. First off, Snow Fairy, a popular favourite with candy floss aromas in a delectable pink colour. I was tempted but opted to try the Rose Jam as I’m rather partial to to roses and love their fragrance. Never having tried Rose Jam I’m keen to give it a try in the shower over the next few weeks and trust me, it smells heavenly! The Icing on the Cake Roulade is a shower smoothie and definitely one that looked quite luxurious, full of citrus peels and chestnut puree. Perfect for a relaxing shower at the end of the day. Santa’s Scrub is a mixture of castor sugar, dates and cherries to leave your lips smooth and soft and then you can follow it with Santa Baby, a long lasting lip tint with carrot oil and cinnamon. Something that was new to me was shower jelly in the form of Santa’s Belly or Snowman. They literally are just like jelly but quite stable and you rub them over your body to lather them up and wash. 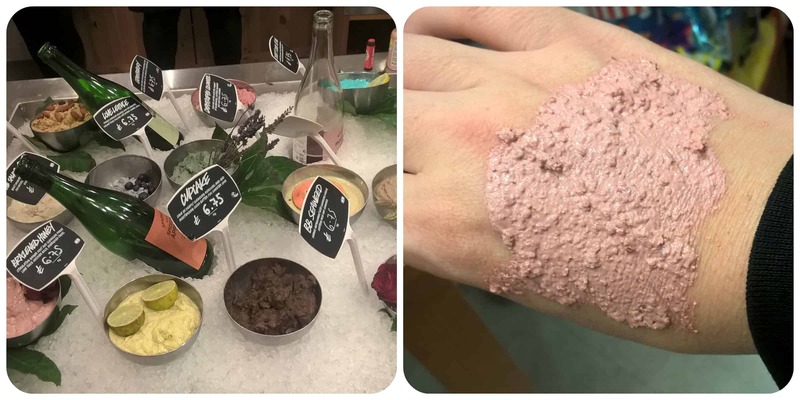 The Cranberry Festive Face Mask smelt lovely and felt great on the back of my hand. I think this would be wonderful on your face, packed with cranberries, fennel seeds, argan oil and rose clay. It left the back of my hand feeling smooth and soft. The soap bars available this Christmas are Yog Nog, Snow Cake and Baked Alaska shown below along with Reindeer Rock which I didn’t catch a picture off. With so many products on offer, you really need to visit a store to check them all out. 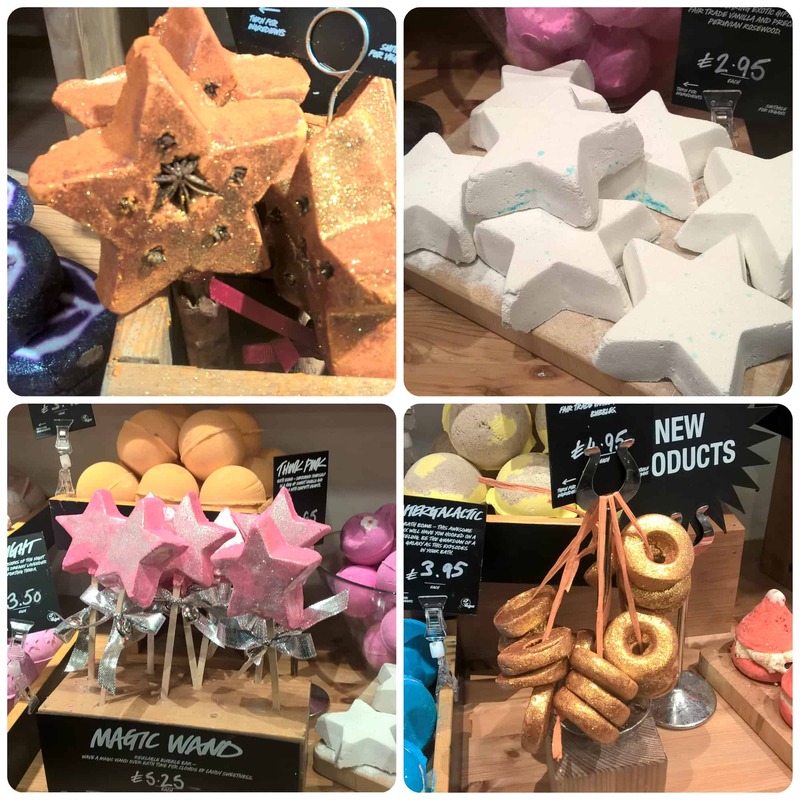 Some I haven’t had time to mention are Christingle a body conditioner, Fairy Dust a fun glittery powder along with lots of other bath bombs and bubble bars. Get along to your local store today and check out the amazing array of ethical goodies to fill your bathroom during the festive season. I must just mention the Christmas gift selection with it’s cleverly thought out packaging, all very ethically sourced I must add. Christmas Wishes is a wind up carousel that plays a festive tune, Sleeps ‘Til Christmas has a countdown dial on the front to help you count down the days and The Human Cannonball with it’s cracker snap to open the box that greets you with a colourful display! I’m going to finish off with a quick overview of the Halloween range of which includes Lord of Misrule bath bomb and shower gel, Nightwing shower jelly and Sparkly Pumpkin which I couldn’t resist trying. With juniperberry, lime and grapefruit oils this filled my bath with bubbles and left my skin feeling supersoft and relaxed. Definitely one to use again. Keep an eye out for my review of the Xmas products once I’ve tried them in a future post. All reviews are my own and my family’s opinions and we received some Lush goodies in order to write an honest review.